What's going on with these animal friends? 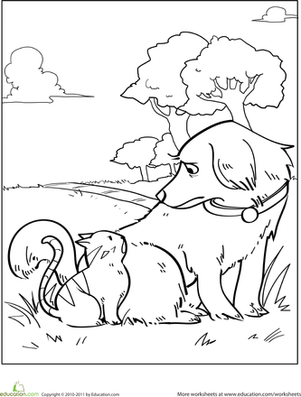 Bring out your child's imagination with this dog and cat coloring page. 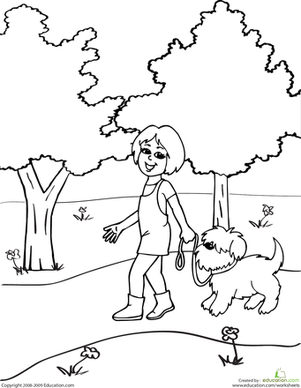 As she's coloring, have her make up a story to go with this fun picture. 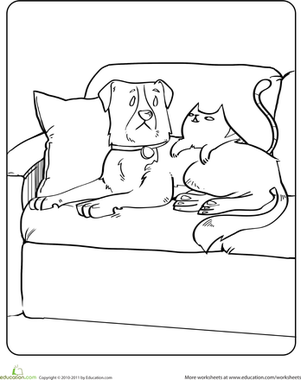 Even dogs and cats can put aside their differences and be friends! These two cute pets are curled up on the couch for some cuddle time. 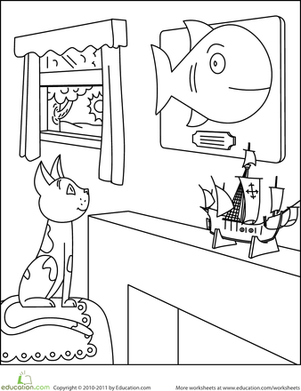 Color Sam the Cat, a hungry cat who loves to stare at Grandpa's prize trophy fish on the wall. On Halloween, the night is full of frights and spooks. 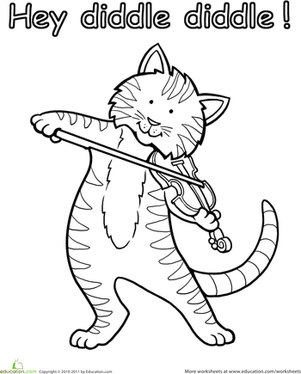 If your kid is taken in by the scarier side of Halloween, have her color in this menacing cat. 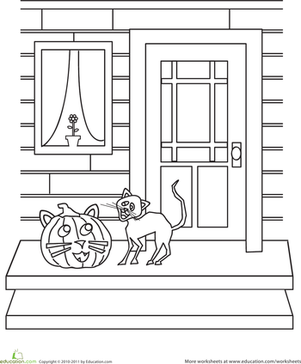 It features a cat, and a Jack-o-Lantern that looks just like him! 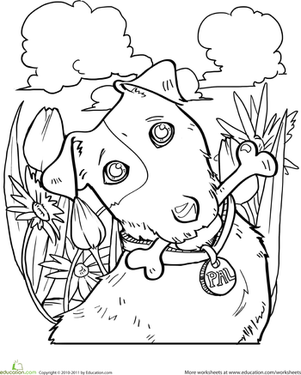 Bring this Santa Claus and cat coloring page to life by adding color to the jolly old guy and his faithful and furry companion!